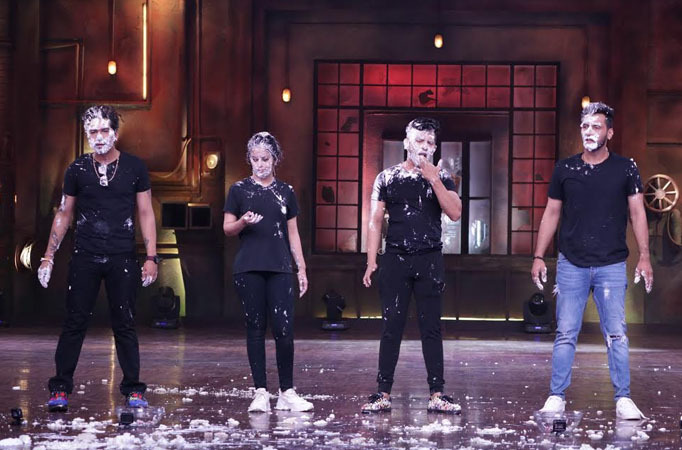 MUMBAI: In the upcoming episode of Khatra Khatra Khatra, the contestants will get involved in a fight to outwiteach other, but with cakes. A game which involved the contestants to crawl their way to the cakeand pick up cherries with their mouth and crawl back to keep it at its destined place. In between the task, Aditya Narayan, who is one of the most mischievous contestants, decided to play a prank. Harsh along with Aditya decided to smash the cake on Avika’s face. Later, Bharti and Punit alsodecided to join the pranksters and eventually a task zone was converted into a play zone.